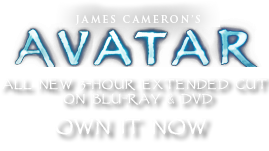 Hexapede | Pandorapedia: The Official Guide to Pandora | Own AVATAR on Blu-ray & DVD Now! 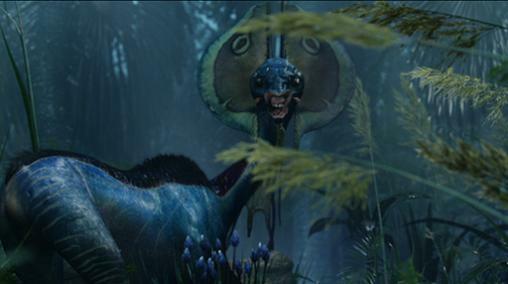 One of the most beautiful and fragile creatures on Pandora, the hexapede is a prime target for any land or aerial predator. The rapid pace of their breeding is the only strategy that keeps them from being culled out of the Pandoran ecology. These docile creatures appear to have little hostility either among their own herd or in the presence of a predator. They are only moderately fast runners, although they can weave, bob and turn with the best prey. The latter helps them survive in the grasslands, but when they venture into the forest for the food they crave (including tree bark and various leaves and berries) this strategy has less effectiveness, since they have less maneuvering room. The hexapede's twin horn structures sheathe a thin, patterned membrane. The horns can pivot and pull taut the membrane for a large threat display. It is believed that this membrane may also act to amplify the sound of nearby predators. In addition, the hexapede also has feathery scent organs on both sides of its head. These organs sample the air as an early warning system to alert the animal to the presence of a predator. Taxonomy Sexcruscervus caeruleus or “blue six-legged deer”. Anatomy Small, sloped skull is topped by a light-colored fan structure. Eyes are wide-spaced and large. Longish snout which ends in a small bifurcating jaw. Bifurcated lip which can be retracted. Twin horn structures that sheathe a thin, patterned membrane. Skin membrane “beard” hangs under jaw and runs length of neck. Twin lines of dark hair-like bristles run down its back. Long, thin neck and legs ending in round, beveled hooves. Body is dark blue with white yellow stripes. Size Up to two meters long, 2.4 meters tall. Notes By tradition, the first animal that a prospective warrior is allowed to kill when making the right of passage from child to adult.